Hop onto the adventure of a lifetime and explore two of Australia's top destinations! Sail the Whitsundays and cruise the sand highway of Fraser Island with our 4 Day Blizzard and Fraser Explorer Combo. This combined tour will allow you to explore for 4 days and see some of the best-kept secrets of Australia's east coast! The 2 day, 1 night Fraser Explorer Guided Tour offers every type of traveller a once-in-a-lifetime opportunity on Fraser Island. This unique tour on board a comfortable 4WD bus will take you from one Fraser Island destination to the next, allowing you to explore the island in comfort. The 2 day, 1 night tour attracts all types of people, ensuring you will meet like-minded travellers during your adventure, forming memories to last a lifetime. Fraser Explorer Guided tour will take you to some of Fraser Island's most cherished places. During your two days, you can expect to spend plenty of time on the Seventy-Five Mile Beach highway, taking in the views and surrounding ocean as you make your way around. Along the beach, you will stop at top spots such as Maheno Shipwreck and Eli Creek, while venturing inland to visit the emerald green Lake Wabby, cool blue Lake McKenzie and the forests of Central Station. You will get to see a variety of landscapes, including rainforests, lakes, creeks, sand dunes and more. Your night will be spent at Eurong Beach Resort, located just up from the beach in the middle of the forested sand dunes. Here you can play tennis, swim in the resort pool or take a stroll on the beach itself. Fraser Explorer will offer you all the comforts of home in an amazing sandy landscape where you will have the adventure of a lifetime. 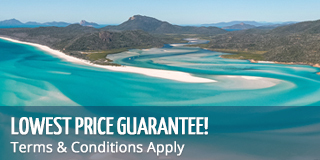 For 2 days and 2 nights, you can explore the stunning Whitsunday Islands on board Blizzard. 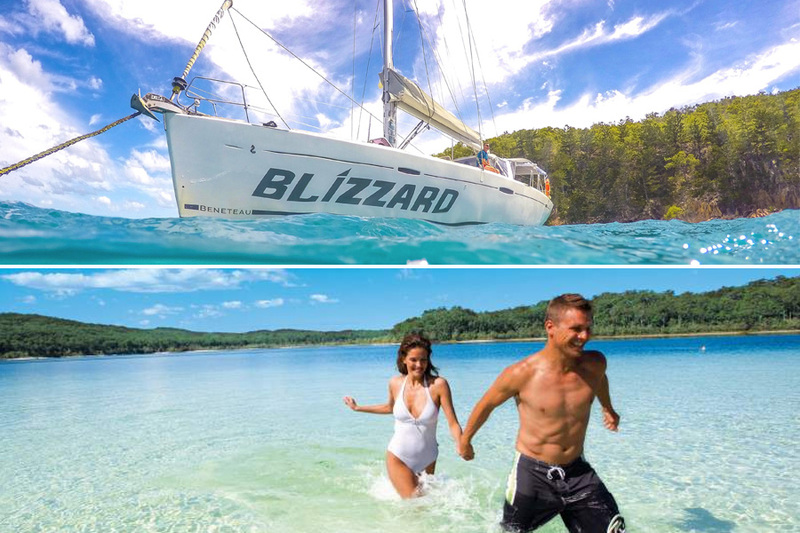 Blizzard is an authentic sailing boat that will allow you to explore the Whitsundays by the power of the wind! Dangle your feet over the side as your crew attends to the sails, hoisting the mains and steering you into 2 days of fun and adventure. Blizzard offers a tour that will get you to the top destinations of the Whitsundays. With hot spots such as Whitehaven Beach, Hill Inlet Lookout and the fringing reefs of the Whitsundays on the agenda, you will surely have an eventful and unforgettable trip through the stunning islands. Snorkel among the diverse and colourful reefs that are teeming with marine life, or spend time on Blizzard's decks taking in the sun as the ocean swells around you. Blizzard also has a sea scooter and giant stand-up paddleboard to add to the fun and give you the most of your time on and in the water! Blizzard has both private and shared accommodation, meaning there are all types of travellers on board, allowing for a great opportunity to interact with new people and make new friends!